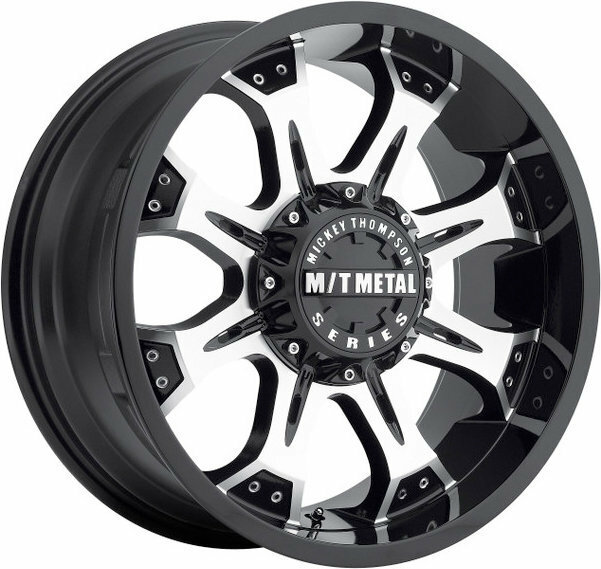 The M/T Metal Series wheel in an 18x9 with 4.5in Backspace (-12 offset) offers the perfect combination of style and function for today’s truck, SUV and Jeep enthusiasts. The MM-164B wheel features an eight spoke design with milled accents to set your Jeep apart. The piano black finish has a multi layer clear coat for stylish, high polished shine and makes keeping your wheels clean a breeze. The customized pop-top center cap works perfect with or without manual locking hubs allowing manual locking hubs to be locked down without removing the center cap. Limited lifetime warranty for structural and One Year warranty on finish. Bolt Pattern: 5 on 5", 5 on 5"